Which farmhouse was it? And what’s it got to do with Bob Hope? Funny you should ask…. In honor of the 70th anniversary of its creation this month, I hung a mystery painting above my bed. It doesn’t look terribly mysterious, and I’m sure those of you with a trained eye might say it isn’t even a very skillful picture. It shows a pleasant if somewhat lopsided wood-framed house set snugly amidst a riot of blooming shrubs. 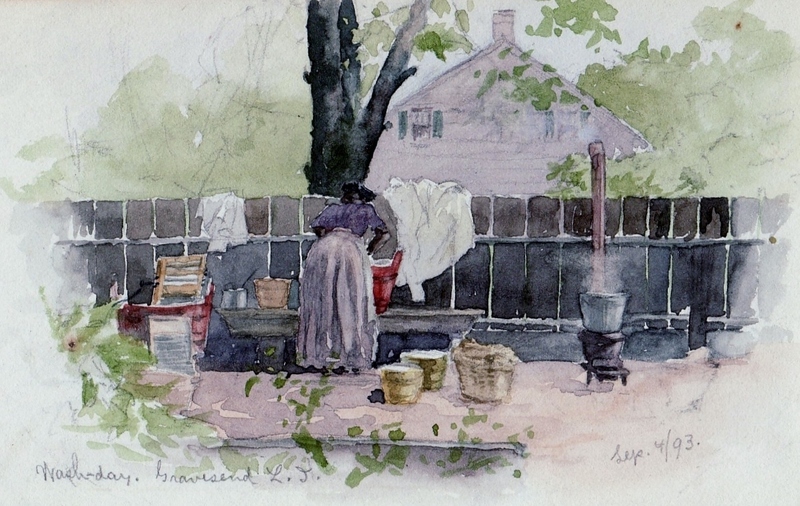 An empty stool beside a small basket near the stoop suggests the occupant has slipped inside to escape the summer heat. We can almost hear cicadas droning from the shady trees behind the house. 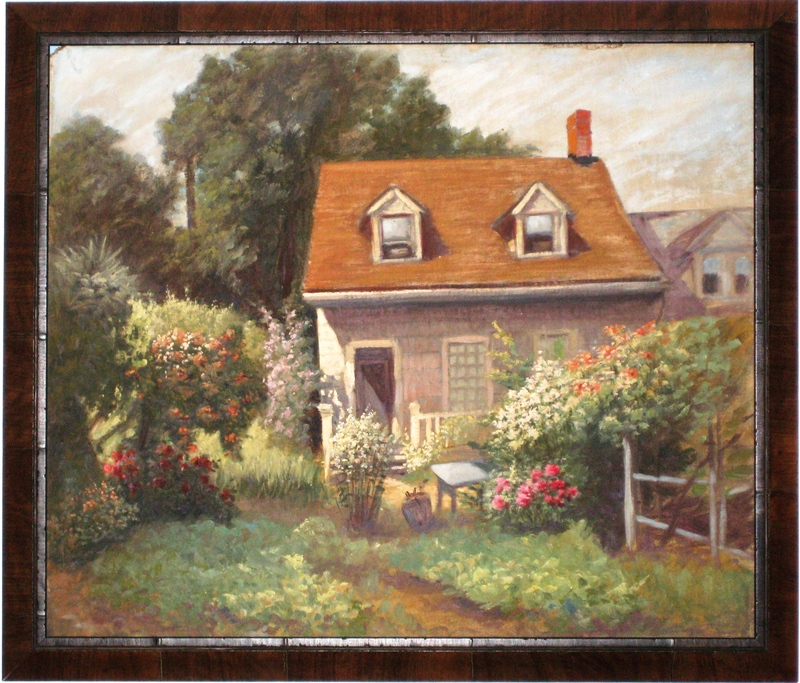 The painting and its maker are identified on back: “neck road / farm house / Brooklyn / N.Y. / painted by / Louis Saphier / July 1942.” What makes it so mysterious? 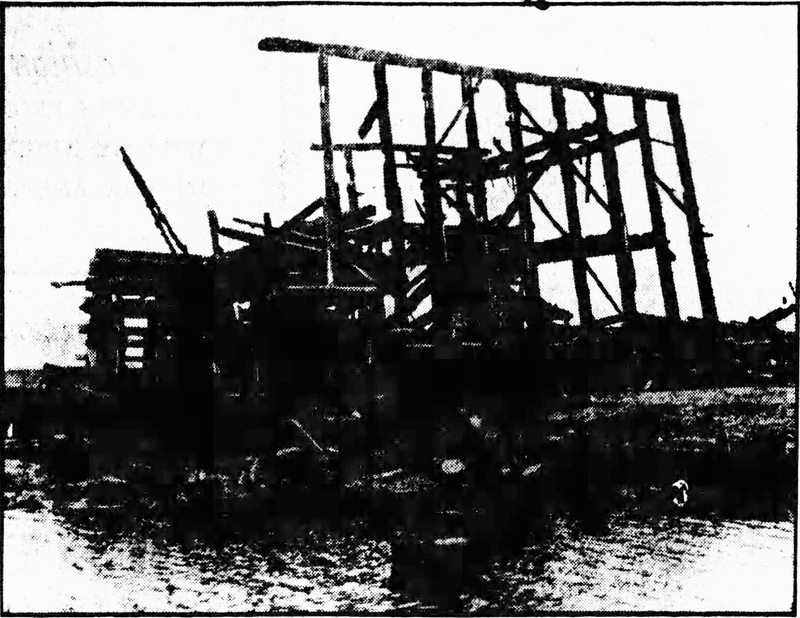 Try as I might — and believe me, I’ve tried — I cannot discover where this house stood. It was not so long ago that many of [the] houses [of Brooklyn’s original settlers], and the houses of their children and grandchildren, were standing, but modern business is causing these old buildings fast to disappear. 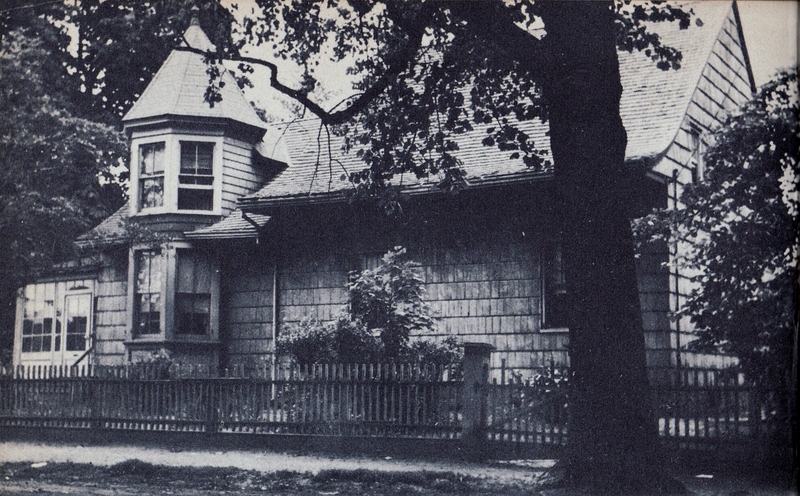 In order that their early owners, the founders of Kings County, may not be forgotten in the hurly-burly of twentieth-century Brooklyn, I have written the stories of all the ancient dwellings which are now in existence — or were at the time their photographs were taken. So which house did Saphier paint? Did it vanish between July 1942 and the publication of Dilliard’s book in 1945? Actually, the margin is even narrower: Dilliard published a serialized version of her text in Long Island Forum between November 1943 and March 1945. 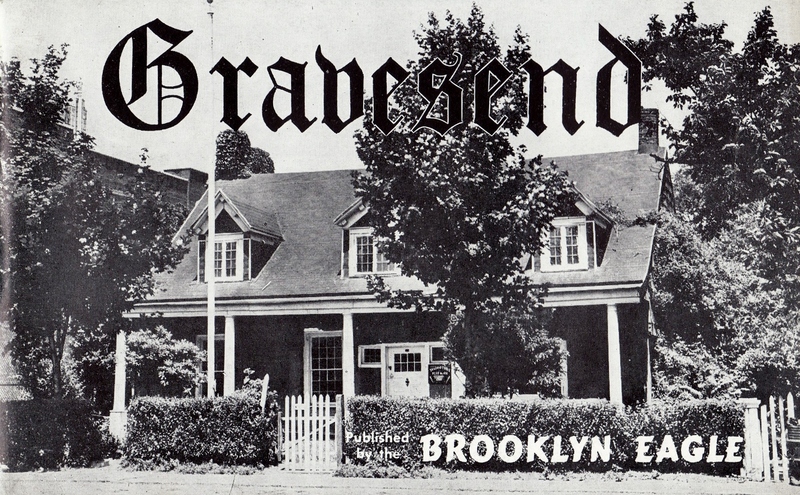 The structures she covered in both journal and book are the same, so the building Saphier painted, if indeed it was an undocumented Dutch farmhouse on Gravesend Neck Road, would have disappeared in the sixteen months between July 1942 and November 1943, when Dilliard began her series. From at least 1925 until his death in 1954, Saphier lived at 1544 East 17th Street, between Avenues O and P. Assuming he traveled south down East 17th Street that day back in July 1942, one wonders which direction he turned upon reaching Neck Road. 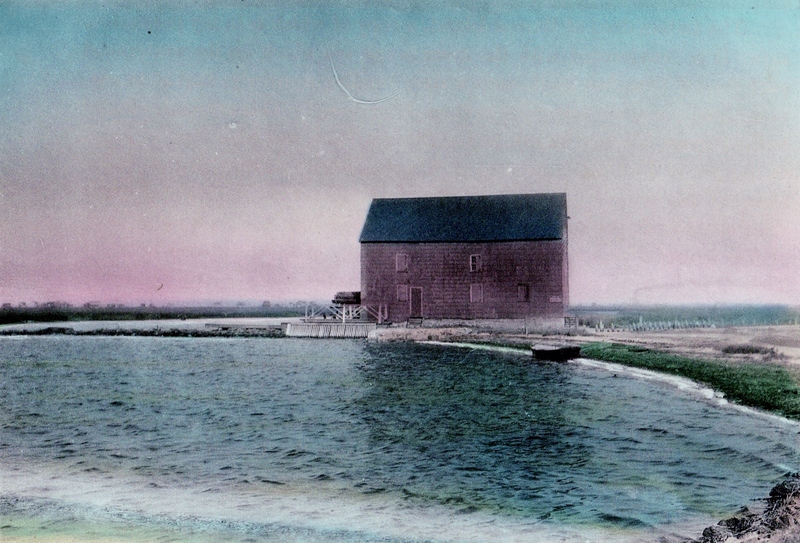 In the 1920s Eugene L. Armbruster photographed practically every Dutch farmhouse then standing in Brooklyn; combing through his shots along the length of Neck Road has not revealed an obvious candidate for the one Saphier captured. The 1939-1941 tax photographs at the New York City Department of Records and Information Services (a.k.a. the Municipal Archives) might include the house closer to the period Saphier painted it, but searching them will have to wait until I find the time or the Municipal Archives digitizes the series, whichever comes first. Maybe Saphier simply painted from memory a long-vanished house he recalled from his walks. Who knows? The artist himself, while not completely unknown, is not terribly well documented either. Incidentally, his son, James L. Saphier (1907-1974), was for nearly forty years Bob Hope’s business agent. In 1945 the elder Saphier did a lifelike portrait of Hope which sold at auction a few years back for $20,800. Perhaps from its presence above my bed at night Saphier’s farmhouse painting will seep into my dreams and subconsciously supply the location of this lost corner of Gravesend. 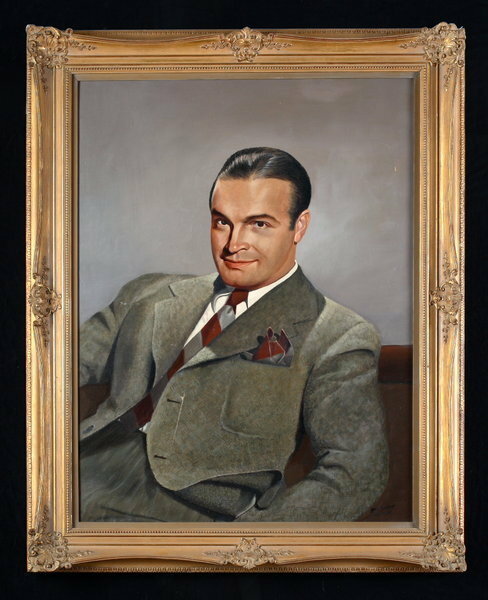 Louis J. Saphier (1875-1954), portrait of Bob Hope, 1945. UPDATE: The painting has since been positively identified as the Agnes Lake House; see this followup post.